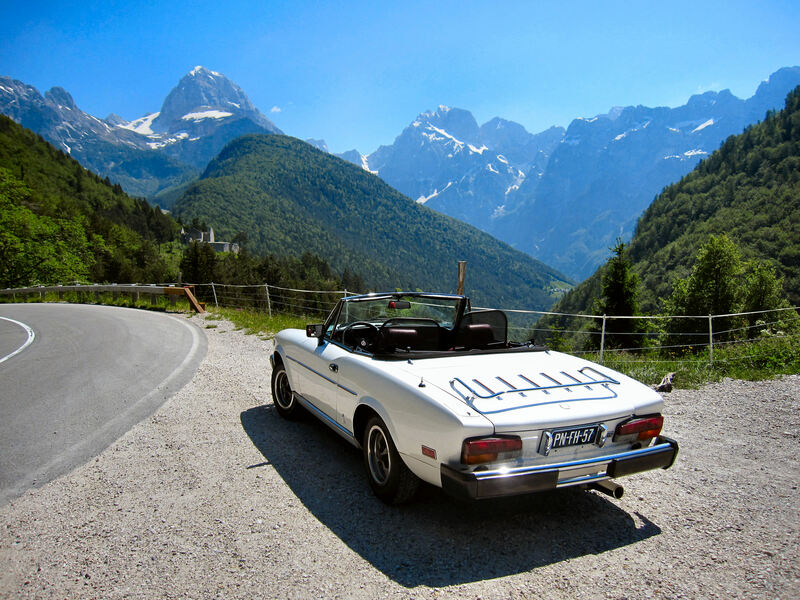 The designer of our Fiat 124 Spider, Tom Tjaarda, sent me in March 2004 a portfolio with a summary of his experiences, his automotive designs and industrial design projects as well as wonderful series of corresponding photographs. This volume is dedicated to the professional work and experiences of TOM TJAARDA from the time he arrived in Italy in the summer of 1958 up to 2003. A brief description of the way in which he was able to come to Italy to work as an automotive stylist will be followed by the professional experiences which Tjaarda participated in while working with some of Torino's exclusive design houses and world automotive manufactures. Many projects which Tjaarda created were non-automotive and include motor scooters, boats, industrial cleaners, boutiques, and a host of other products in the general design category. During his four decades in Italy, Tjaarda worked as a designer/stylist for a number of years first with GIA then PININFARINA. In 1969 Tjaarda became chief stylist with DETOMASO and in 1979 moved to FIAT as director of advanced design. In 1982 he set up a new design center for RAYTON FISSORE, outside Torino in the historically famous city of Cherasco. In 1986 Tjaarda then set-up his own company known as TJAARDA DESIGN. Tjaarda works primarily as a consultant, his base being a studio which is located in the Business center of Torino. Even if a small office, it is here that numerous projects are conceived and elaborated, then further developed into full scale static demonstration models and running prototypes using the numerous modeling facilities located around the Torino area.